This marble artwork will definitely create a devotional ambience whether you place it in your temple or living room. 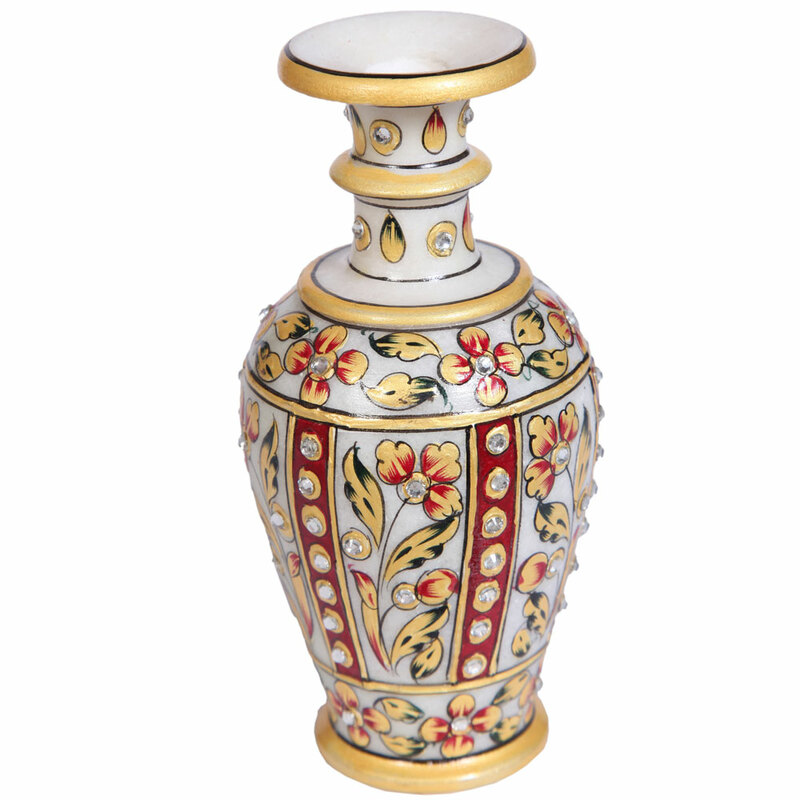 This marble flower vase is just perfect to adorn your bedside table as with or without flowers it will constantly brighten up your room with Read More..its rich artwork and dazzling beadwork. 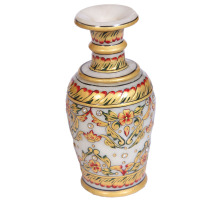 The deliberate use of only two colors adds to the uniqueness and the elegance of this vase quite significantly. Show Less.. 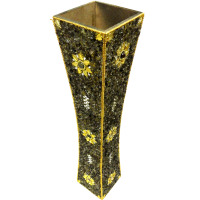 Gift this decorated brass flower pot to people you care about and help decorate their drawing rooms. What makes this piece of artwork even more exquisite is are the small specks of red and black colors. 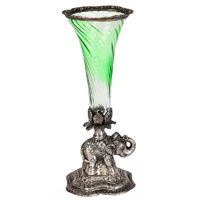 The stand gets a royal look by the flower insertion the bottom of the holder And mounted on the rear of an elephant, standing on a circular platform. 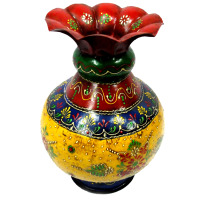 Gift this beautiful brass flower pot with eco friendly colours to people you care about and help decorate their drawing rooms.